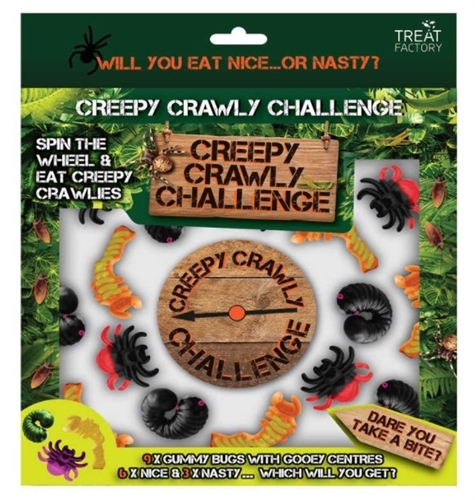 Have your very own Fear Factor or Survivor party with the Creepy Crawly Gummy Insect Challenge. Spin the spinner to decide your fate. 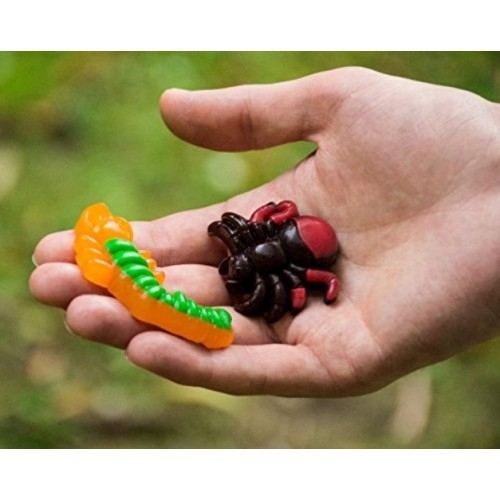 Whatever bug it lands on, you have to eat. It's a great game to play at parties. Only six of them are yummy, the other three taste of chilli, curry and the notoriously foul durian fruit one of the smelliest, nastiest foods in the world. 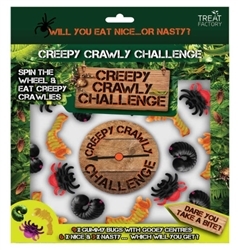 Contains: 9 gummy bugs with gooey centers (6 taste of strawberry, 3 taste of chilli, curry and durian fruit) and a Spinner to select a bugs.